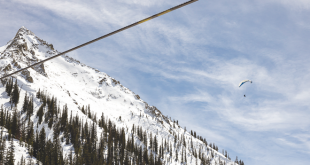 —Ski Free, which was the most successful ski promotion in our history that introduced thousands to Crested Butte and fattened cash registers throughout the valley. —The idea of “guaranteeing” airlines to fly into Gunnison. —Making Extreme ski terrain accessible by a lift. —-Riding townies from Elk Avenue to the Hotel Jerome over Pearl Pass on what years later would turn into $8,000 mountain bikes and a major summer sport. —Buying a local ranch at the entrance to town and putting a community school on the land. —Luring the X Games to the Rockies. —Restricting the size of houses inside the town of Crested Butte. —Forming a Land Trust to acquire open space in a growing resort valley. —Starting a voluntary 1% for Open Space program to help fund that open space. —Getting the state to declare Crested Butte the Wildflower Capital of Colorado. —Having the town sanction a huge fall bonfire at the main intersection of Crested Butte. —Embracing “uphill skiing” at the downhill resort. To own a business takes courage. 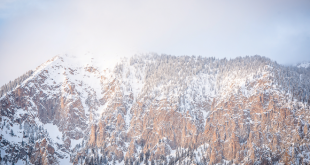 To own a business in a ski town where you must rely on a lot of things out of your control—things like copious snowfall and the national economy—takes even more nerve. This applies especially to the big dog, the ski area itself. Successful businesses are usually nimble businesses. Things are always changing. Few people still ski on 210 Atomics wearing leather boots. The ski area can’t control the weather but it can (must) try more interesting ideas if the current template isn’t working. I’ve written about some product improvement ideas in the past that might lead to increased customer demand. 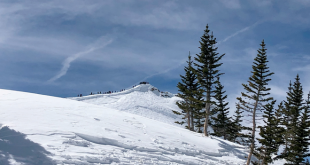 It now appears Crested Butte Mountain Resort is taking a bold step and is in the early stages of working on developing a partnership with traditional rival ski area Telluride. That doesn’t happen often in the ski industry. Without knowing the details, I like the concept. It is something bold and innovative and something new. We learned this week that CBMR’s top management has been meeting with Telluride owner Chuck Horning. Horning has declared that the meetings have been “historic.” Horning is searching for “radical” and “innovative” ideas to bring change from what’s been done in the past in his resort. While keeping their cards close to their chests, the Muellers appear to be boarding that train. Make love, not war. Partnering with a traditional rival is a big change but could be a game changer. It does not come without risk, but kudos to those trying something bold in order to see some sunlight. This community and the leadership of the ski area can’t keep doing the same thing over and over and expect different results. We aren’t sure how deep this new partnership will go. Is it just a shift in air strategy or is it a deeper partnership based on two cool, old western ski towns that can offer winter clients a unique authenticity? We’ve suggested such a partnership in the past to help combat Epic Passes and somewhat sterile Front Range industrial tourism. We look forward to seeing the details of this new direction soon. There will certainly be impacts to the community as a whole but the end game might be enough to start a climb up out of the economic cellar for almost everyone. Given where we are, and where we’ve been stuck in the last few seasons, just sniffing at something bold and different is welcome.